Some cuisines achieve more of their potential when combined with the cooking styles, ingredients and nuances of other cuisines. 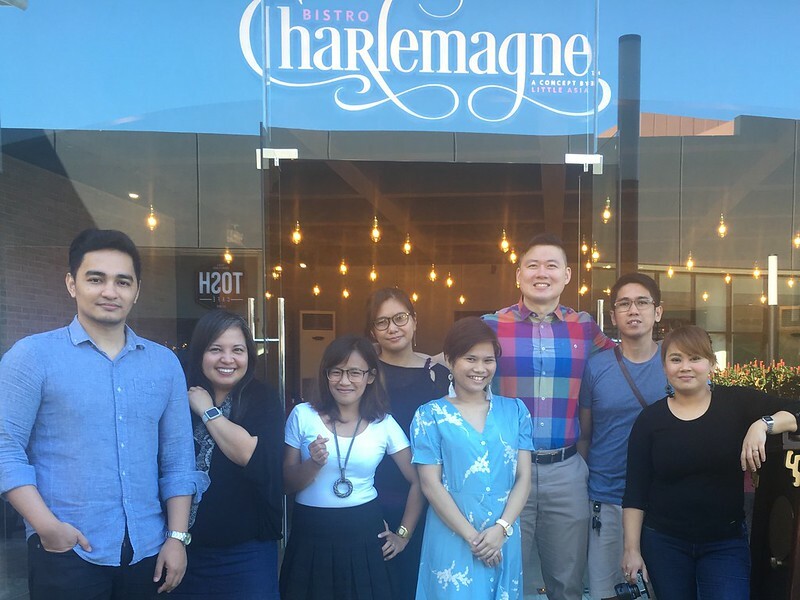 Take Bistro Charlemagne: A Concept By Little Asia for example. 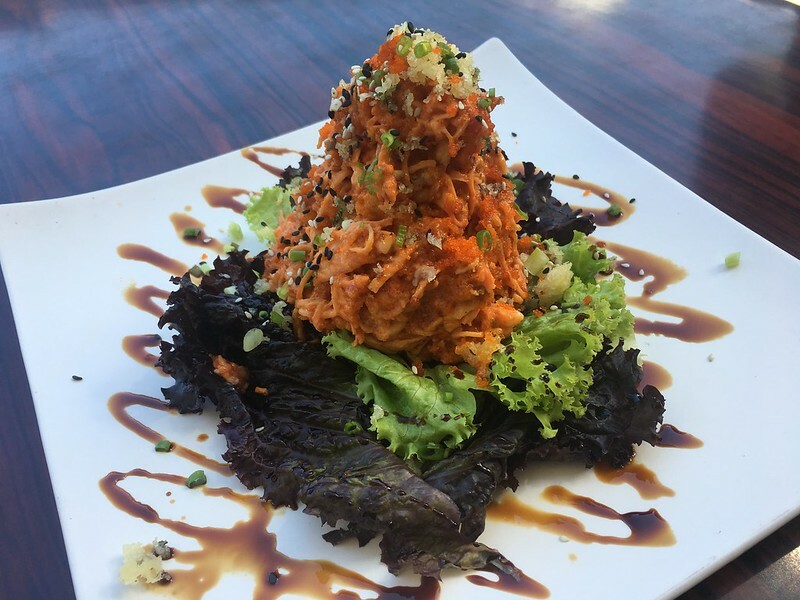 Named after its owner, Charlemagne Lim, this high-end restaurant offers Asian and European fusion dishes. With its first branch well established in Nuvali in Sta. 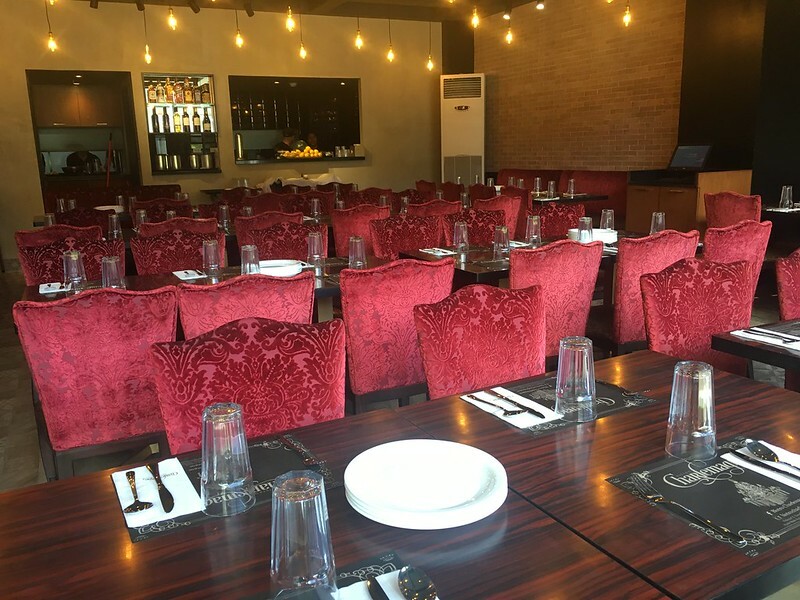 Rosa, Laguna, its second branch is situated in fifth level of Ayala Malls Feliz in Dela Paz, Pasig City, giving the denizens East of Manila a new and exciting dining option. 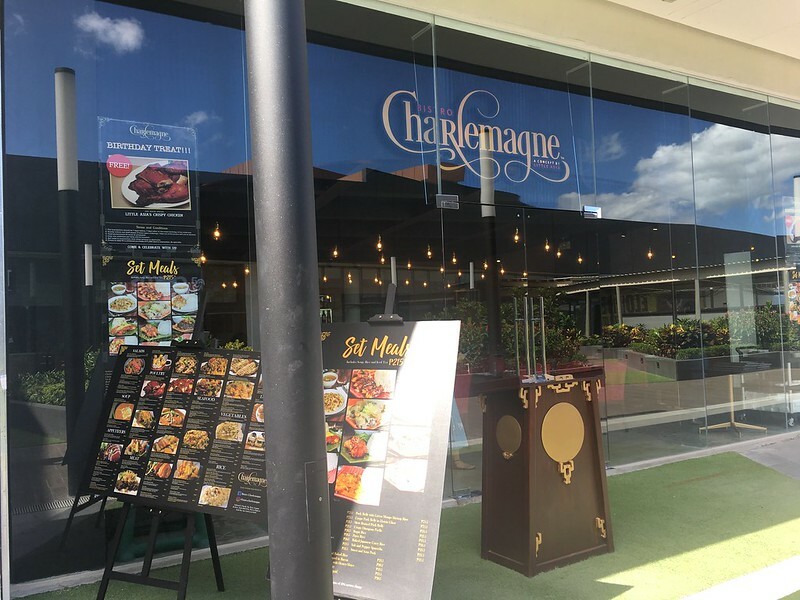 Walking through the lush greenery of Ayala Malls Feliz’ gardens (which gives you a breathtaking view of the nearby mountains of Antipolo) will lead you into the opulent interiors of Bistro Charlemagne. Mood lighting, plush velvet-upholstered chairs and large dark wood tables give diners a feeling of luxury and coziness. This place is great for romantic night-time dates and Sunday brunches with the family. Japanese Mixed Seafood Salad (Php315). Tuna, shrimp and kani tossed in spicy mayo and finished with ebiko (shrimp roe), tempura flakes and sweet soy. An exciting start to the meal with a bit of heat from the spicy mayo and contrasts in texture from the tempura flakes. Vietnamese Spring Rolls (Php295). 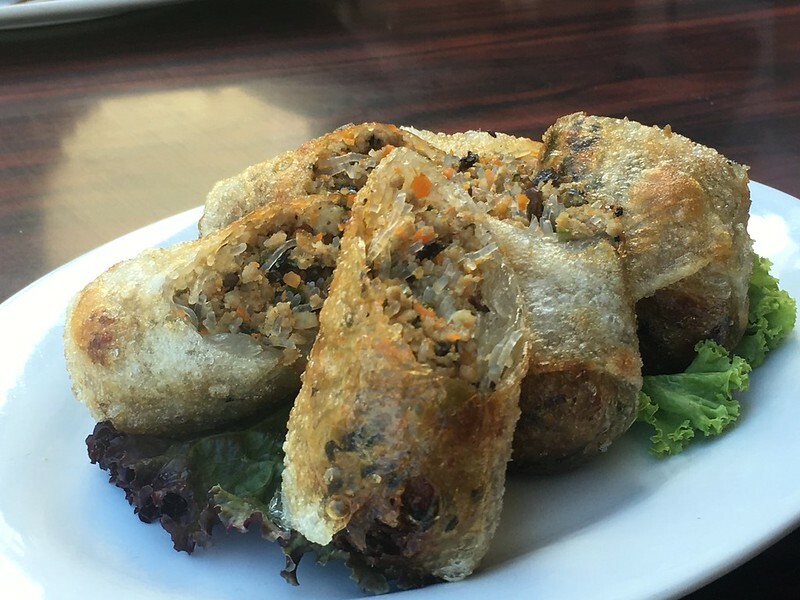 Unlike other spring rolls, this one is fried to a golden and crunchy crisp after being stuffed with glass noodles, pork and mushrooms, then served with the traditional Nuoc Cham dipping sauce. 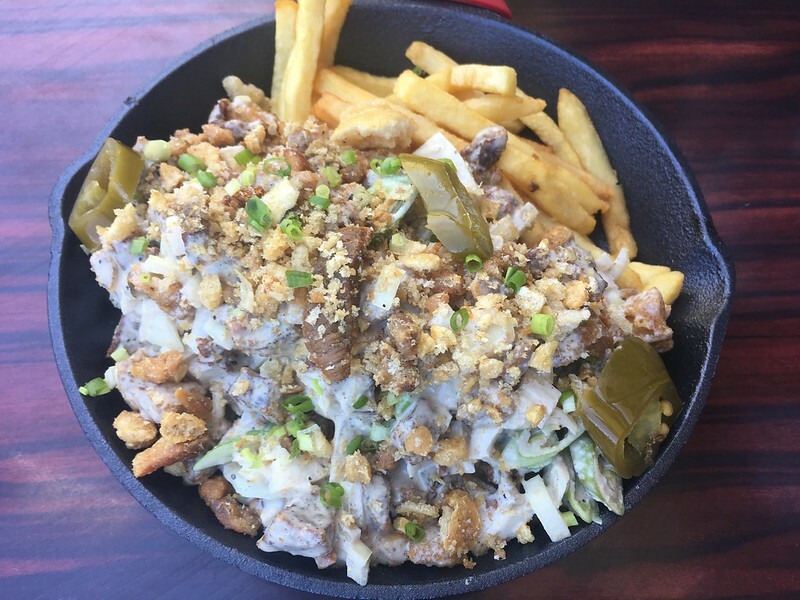 Bistro Sisig Fries (Php295). Chopped and thrice-cooked pork cheeks sauteed in a creamy chicken liver sauce and served on top of crispy and golden French fries. Little Asia’s Crispy Chicken (Php325). Have you ever noticed how some families have special recipes that get passed down through generations? 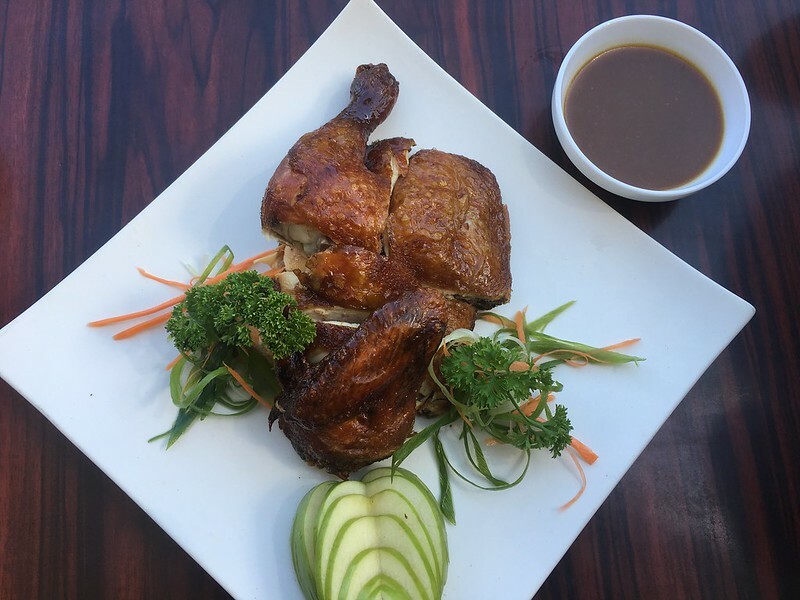 This is one of them: a specially crispy chicken served with a freshly made gravy developed Charlemagne’s grandfather, enjoyed and shared to the world by three generations of restaurateurs. Beef Tenderloin Rolls with Cheese (Php395). Don’t I always say that everything’s better with cheese? 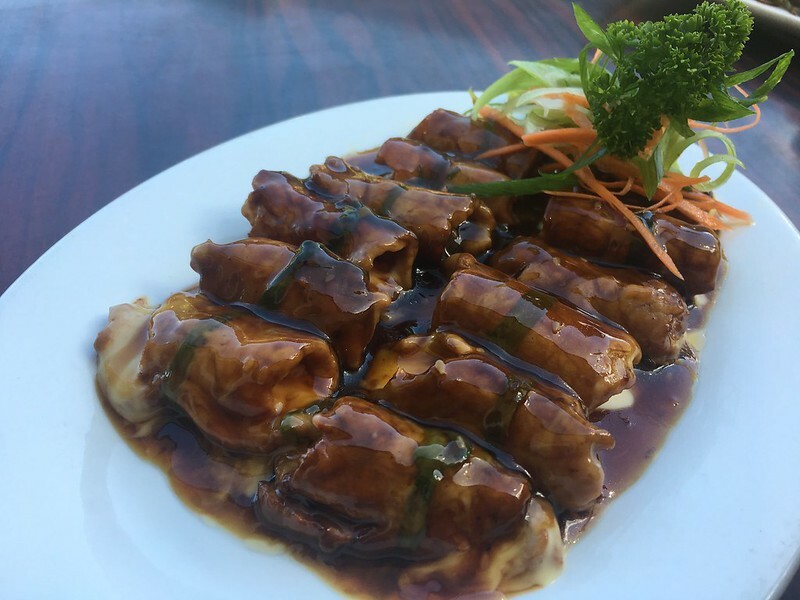 These rolled beef tenderloin slices sauteed in teriyaki sauce certainly are. Shrimp Poppers (Php415). 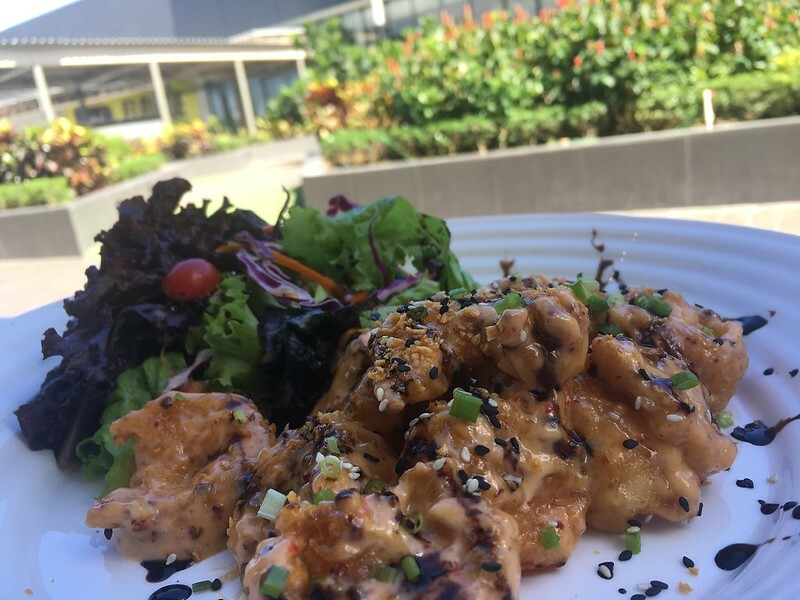 Plump and lightly battered shrimp deep-fried and tossed in the house’ special sweet chili mayo sauce and chili oil and served with a side salad. 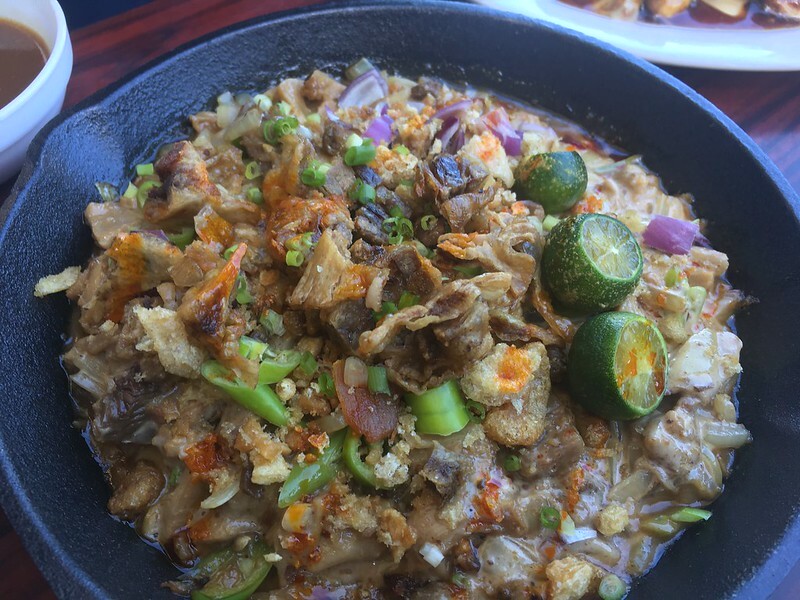 Ox Sisig (Php325). Thrice-cooked ox tongue and ox tripe mixed witj the house’ special liver-mansi mayo and topped with chicharon bulaklak. A fresh take on the classic sisig dish! 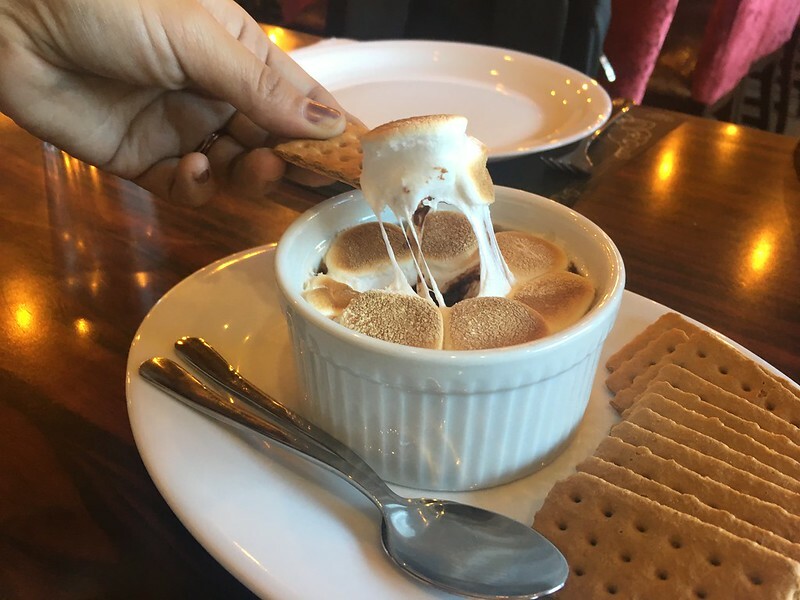 S’mores (Php245) and Reese’s S’mores (Php245). We dipped graham crackers on roasted marshmallows laid on top of Ghirardelli chocolate ganache with the former and on top of peanut butter chips ganache with the latter. Blueberry Custard Napoleones (Php245). 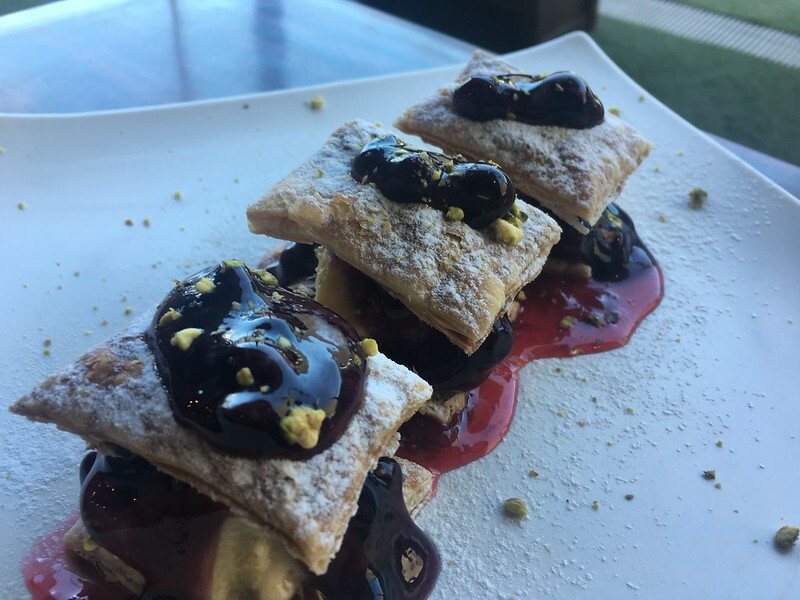 Crisp puff pastry sandwiching vanilla custard and blueberry puree sauce, sprinkled with pistachio dust. 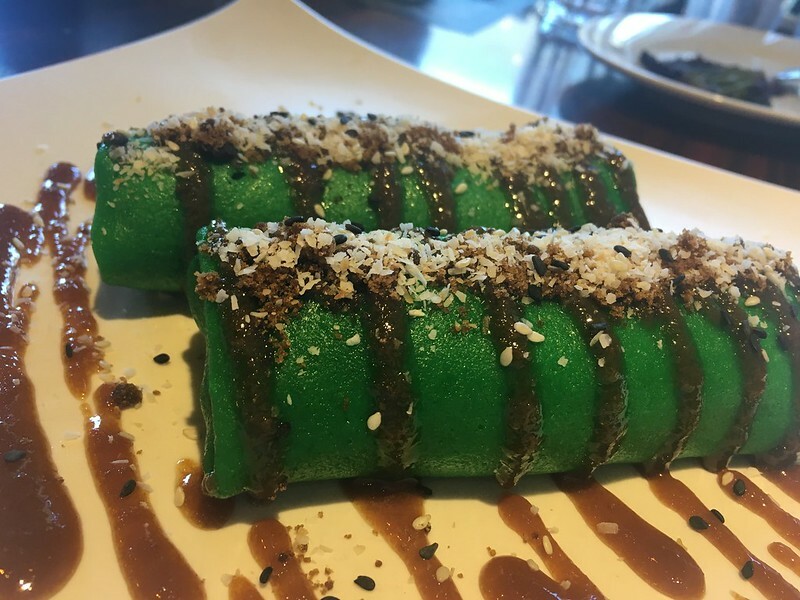 Pandan Crepe (Php245). Soft pandan-flavored crepe encasing shredded coconut stewed in coconut milk and coated in palm sugar. 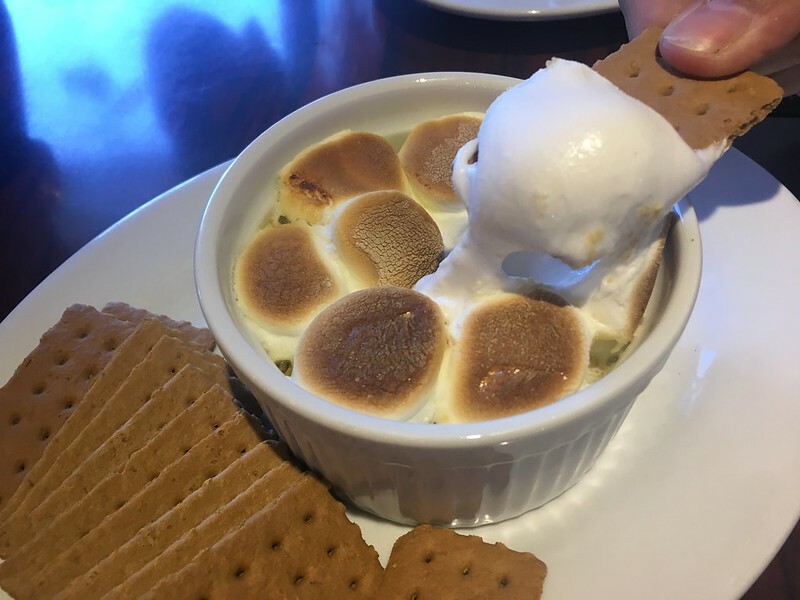 This is a surprisingly tasty dessert with a amazingly fresh twist on familiar flavors. With these dishes and more on the menu, Bistro Charlemagne is where East meets West, and they do make a great combination. And here’s some good news for people on a budget: you can sate your craving for your favorite Bistro Charlemagne dish with a set meal at only Php215! This already comes with rice, soup and iced tea. Plus, birthday celebrants get the house special Little Asia’s Crispy Chicken free when they dine at Bistro Charlemagne with a minimum single-receipt transaction of Php1,995 within seven days of their birthday. Simply present a valid government-issued ID. 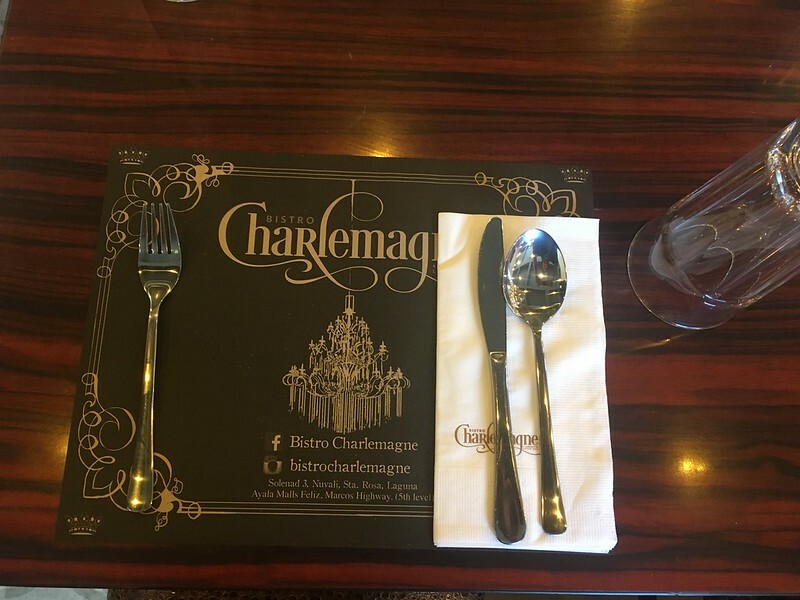 This Bistro Charlemagne branch is located at Fifth Floor, Ayala Malls Feliz along Marcos Highway, Dela Paz, Pasig City. Another branch is found at GFF-6, Building B, Ayala Malls Solenad 3, Nuvali, Don Jose, Santa Rosa, Laguna. For reservations and inquiries, call +63 049 2580846 or +63 917 8334223. Disclosure: Together with other food bloggers, I was invited to attend a Blogger Event held in this restaurant. Food items mentioned here were served to allow us to sample the fare and were not paid for by the attendees, including myself.